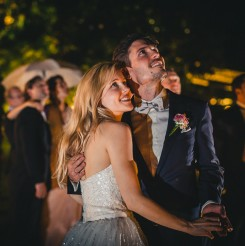 The wedding of Andrés and Luis was one of most waited from the season. 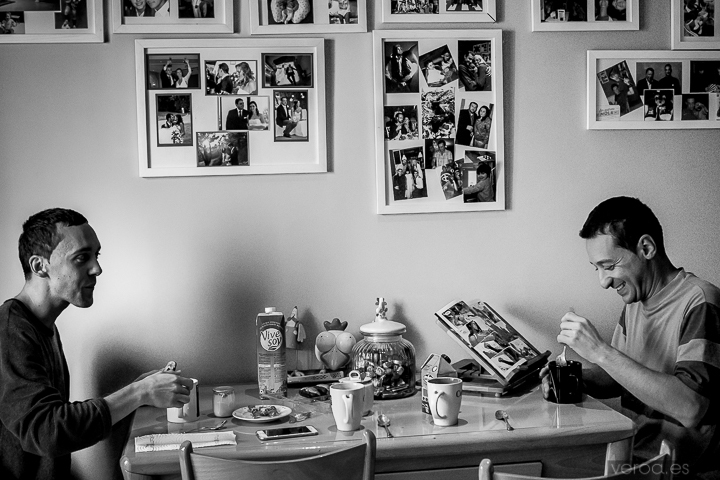 We come soon to theyre house, so soon that we plunder from them still in pajamas and on the verge of having breakfast, I am charmed with the image of theyre daily life, Andres with his comics and chatting with Luis. Discovering Andrés' passion for the comics was incredible, full booths of comics perfectly order, the study full of cartels and merchandising, quite perfectly placed of his favorite heroes. Undoubtedly it was a different getting ready, not only because they decided to dress together, but for small details that left of what normally we have in front our cameras. Luis cut the eyelashes because they were very long in expense of one medicine, Andres was hiding from my camera between laughs and in the other hand Luis was giving everything in front of it. We live through everything as if it was a friend´s wedding, we connected from the first moment and today I feel that we have won new friends. Luis' dream was to come in limousine, and if it was a great surprise for all the guests that where waiting in De Floriana. The celebration in a natural environment was incredible, full of smiles, tears and eyes full of meaning. De Floriana it is one of the sites that assembles elegance and captivation in a natural environment, an idyllic bottom for a ceremony outdoors and a holiday under the stars. With an elegant decoration by Al Detalle events, the exquisites is assured. The party left for sat that they all were enjoying and celebrating the love of Andrés and Luis … Once again the love triumphs over everything and we were lucky to be witnesses and to live through it in first person.